How Tall is Forge Island? Today, 343 Industries released Forge Island: an all new Halo 4 map designed specifically for the forge community. It’s cool. And really huge. 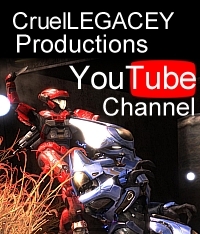 Video | This entry was posted in Halo 4, Video and tagged forge island, halo 4, video. Bookmark the permalink. 1 Response to How Tall is Forge Island?